But it’s a study, so it must be true! 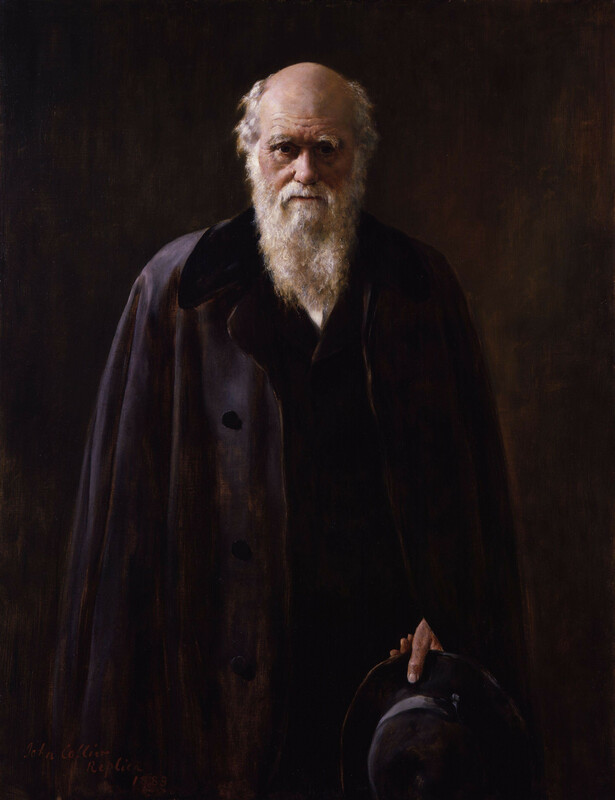 What makes a scientific study well, scientific? We’ve all seen claims made by deniers, new age gurus, and pseudoskeptics where they make a claim, usually shared from some Facebook page talking about a dubious claim which is strangely backed up my a study. Where do these studies come from? How are they actually making it into the scientific community? And seriously, oil pulling? This month we are going to take a look at the not-so-scientific journal world. How it came about, why it is so big and what people are doing about it. Conversely, we will also look at what makes a real scientific study valid and how to spot the difference. It’s not like anyone will stop sharing Natural News articles but at least it will help. To RSVP for the talk, head to our Meetup Page, or our Facebook Page. March 14th is Pi Day. In celebration of Pi Day, we will be celebrating one of the world’s greatest mathematicians, Alan Turing. A biopic of Alan Turing, The Imitation Game was nominated for 8 Academy Awards winning the Best Screenplay Oscar. Alan Turing in 1951. Three years before his death. Alan Turing was a British pioneering computer scientist, mathematician, logician, cryptanalyst, philosopher, mathematical biologist, and marathon and ultra distance runner. He was instrumental for his work on code-breaking during World War II. It is possible that without him, we would not have won the war. Turing died on June 7th, 1954 after undergoing court ordered chemical castration because of a conviction of gross indecency. Being homosexual was a criminal offense. We will have a presentation on Alan Turing along with our news round up and a small discussion on Pi Day. How the US government created a UFO myth that took over the world. 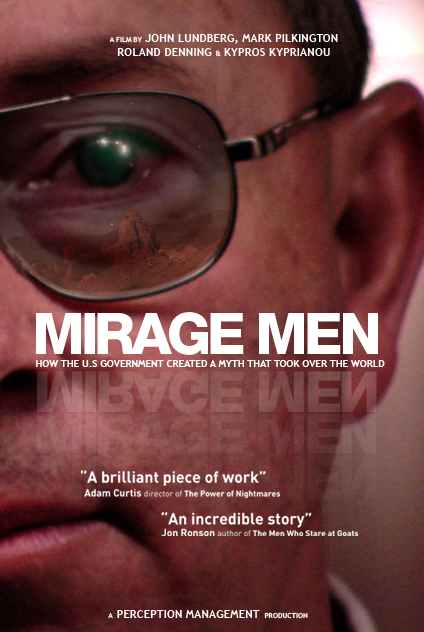 This month we are watching the 2013 documentary Mirage Men. Our Get Together will be held on September 13th at 4:00 PM. RSVP for the location. 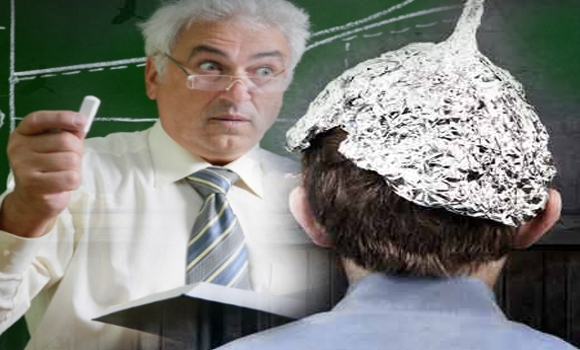 UFOs: weapons of mass deception… For over 60 years teams within the US Air Force and Intelligence services exploited and manipulated beliefs about UFOs and ET visitations as part of their counterintelligence programmes. In doing so they spawned a mythology so powerful that it captivated and warped many brilliant minds, including several of their own. Now, for the first time, some of those behind these operations, and their victims, speak out, revealing a true story that is part Manchurian Candidate and part Close Encounters of the Third Kind. We will also have our news round up and an announcement of an upcoming event. Please be sure to RSVP so I know how many are coming. That way I can modify the reservation if necessary. You can RSVP via our Meetup Group or by Facebook. Don’t forget that our group is funded entirely by donations. Please chip in by clicking here. There will also be a donation jar at the Get Together and we are able to take credit cards on site as well. This month we are talking about the future of technology. Our featured speaker will be Jonathan Stars. In this talk Jonathan will tell us about the promise and peril of our coming relationship with computers. According to inventor and futurist, Ray Kurzweil (among others), in the next few years our lives will be dramatically changed by advances in robotics, genetics and nanotechnology. Kurzweil predicts a technological singularity that will arrive around 2045, where people will need to have their intellects mechanically enhanced in order to keep up with the accelerating changes. You may be surprised to find the future is closer than you think. Jonathan Stars is a writer, database consultant, musician, comedian, and songwriter. He has written over 100 articles on computers, music, and software. His latest novel is the techno-thriller “N-hanced.” (Learn more at www.N-hanced.com). We are meeting at 4:00 PM on Saturday, June 14th in Plymouth, Michigan. Details are in the RSVP Links. You can RSVP via our Meetup Page, Our Facebook Page, or our Google Plus Page. Please be sure to RSVP so I know how many are coming. MISkeptics is accepting donations! You can contribute to our future endeavors by following this link, or in person at any Get Together. You can donate with your credit card or drop money into the donation jar.